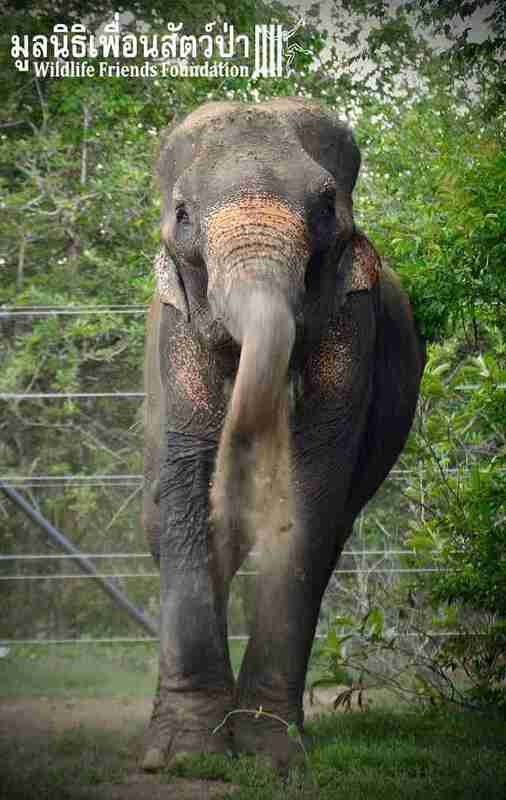 An infection on her gray head caused by beatings from a bullhook and an abscess on her massive left leg show the signs of four decades' worth of abuse for Wassana. 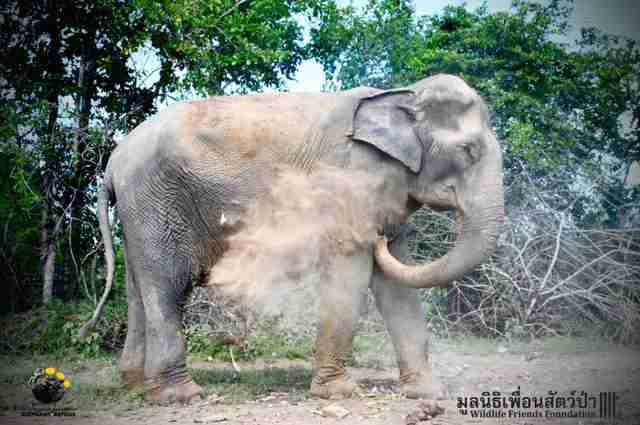 The 46-year-old elephant had spent the vast majority of her life working to carry tourists in circles through the streets of Thailand — where elephant keepers are turning to other ways to make money after logging was made illegal in 1989. While it's unclear how Wassana spent the early part of her life, rescuers believe she likely worked with loggers before being sent to the tourism industry. 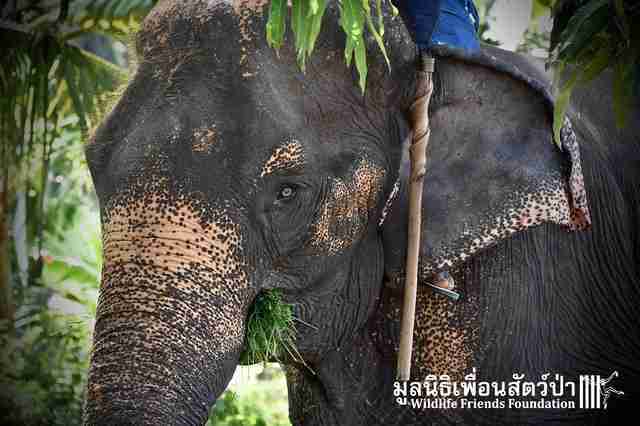 Fortunately for Wassana, she was rescued from the tourism industry last July and placed in an elephant refuge run by Wildlife Friends Foundation Thailand (WFFT). 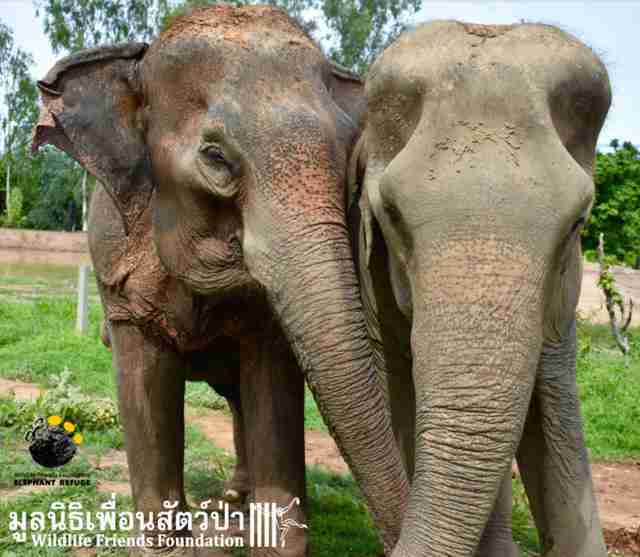 Now she’s making friends and recovering in an environment that suits her social and biological needs — and far removed from the life in metal chains that so many elephants endure in Thailand and other Southeast Asian countries. For centuries, elephants have been used to extract timber from the Asian jungles as part of the illegal logging trade — they were prized for their strength, ability to travel through jungle vegetation, and the keen intellect that allowed them to respond to human commands. However, while their usefulness was prized, they faced lives in chains, isolated from their natural social circles — and the unlucky elephants who still remain in the logging industry face the same challenges today. Like all trained elephants, they undergo a number of physical and social abuses before being trained to carry and push fallen timber. As forests shrink, and with several Asian countries cracking down on illegal logging, elephants’ involvement in the industry has become less prevalent. But many owners have tried to make more money off their animals by turning them into tourist attractions. “Like elephants used for logging, elephants forced to carry tourists around are often denied food and water for hours, aren't given any breaks from the extreme heat, and are often worked to the point of exhaustion,” Baker said. 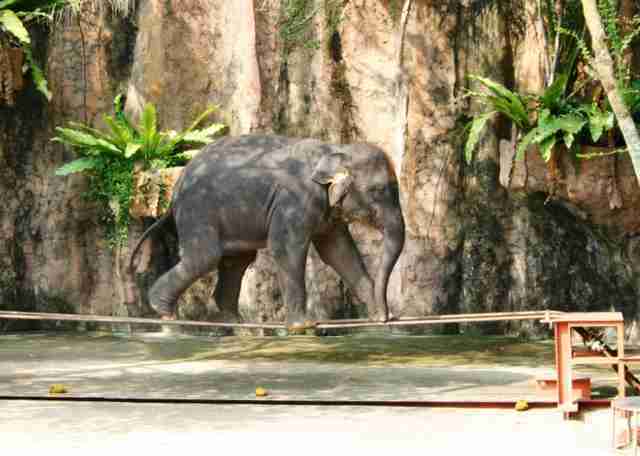 In Thailand, where logging was made illegal in 1989, elephants can often be seen walking down the street as handlers offer rides and performances to tourists. While at least 25 percent of the world’s Asian elephants are estimated to be living in captivity, that figure is doubled in Thailand, where there are more captive elephants than wild ones, according to the Convention on International Trade in Endangered Species of Wild Fauna and Flora (CITES). Chris Draper, associate director of animal welfare at the Born Free Foundation, told The Dodo that this transition from the logging industry to the tourist industry is hardly an improvement — and can be dangerous for both the animals and the unsuspecting travelers. 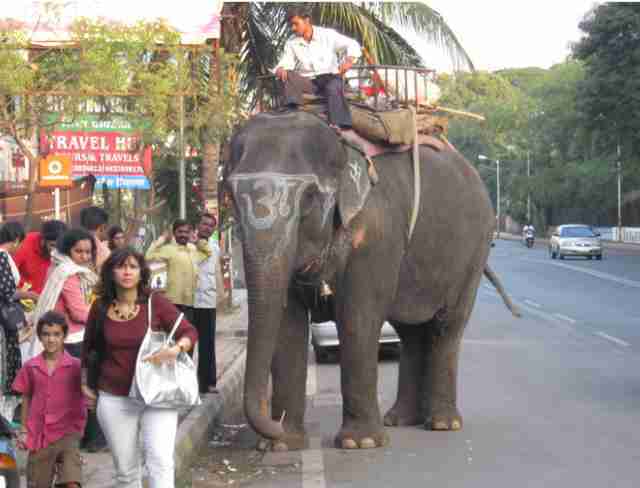 Most tourists may not know that captive elephants have gone through the “crushing process,” in which they are repeatedly beaten in a dominance-based display to get them to behave around humans. They are often put through this constant abuse as babies so that they’ll become more docile as full-grown adults. 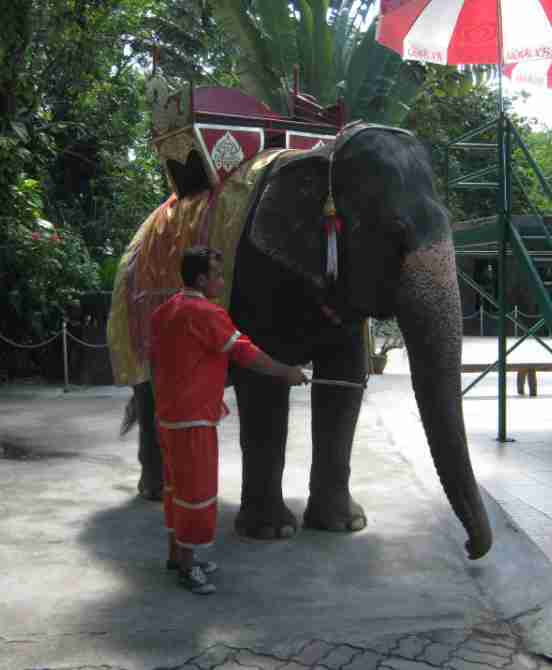 Officials from PETA Asia argue that thrusting elephants into captivity is a barbaric activity that inflicts “unimaginable abuse” on the animals. During the crush, owners will often beat elephants with metal rods and hooks, and can use food or water deprivation to control the animals. This was the same treatment that made Wassana badly malnourished and has left her with gruesome scars. 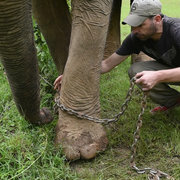 Some elephants have died from exhaustion while being ridden or chained. For those who survive this treatment, they face lives spent walking around on small tracks instead of traversing the long distances the normally active animals would walk each day in the wild. But many tourists don’t realize this, as numerous camps will tout their elephants as being rescued to make tourists feel guilt-free during their visits. 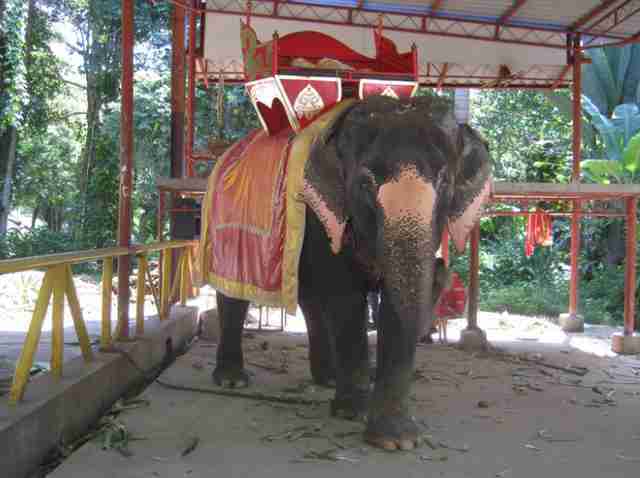 While there are a few true sanctuaries in the region, anywhere that allow elephant rides or performances is not legitimate. So what solutions are in sight as more elephants exiting the logging industry enter into an equally oppressive field? Though governments like Thailand have criminalized logging, activists say there is still more they can do to stamp out abuse. But any lasting change will likely need to come from tourists themselves. 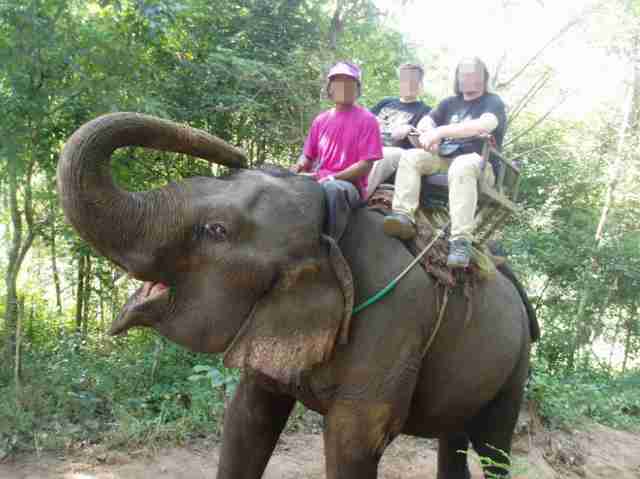 The more aware and educated travelers are about the abuses these animals have gone through, the more they can help cut demand and hopefully reduce the number of captive elephants. “Potentially people could get that encounter without having to sit on the thing or bathe it, if people are willing to just be around the elephant,” Draper said. And more true sanctuaries like WFFT are popping up to provide a home for elephants rescued from the tourism or logging industries. The elephant sanctuary at WFFT provides one such heartwarming story, where caretakers have said Wassana has finally made some fast friends despite more than 40 years in isolation and confinement. 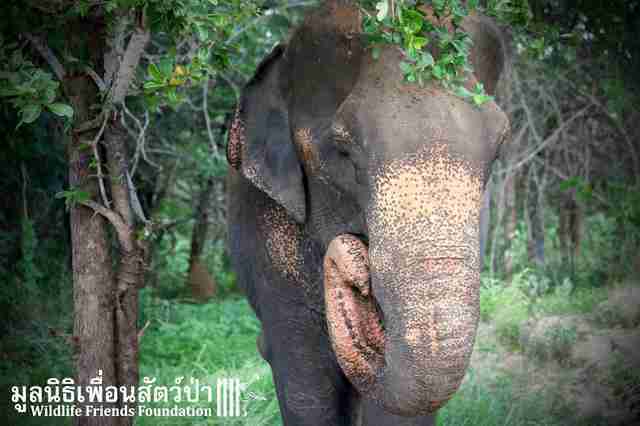 To help provide Wassana the retirement she deserves, and rescue other elephants like her, you can make a donation to WFFT.